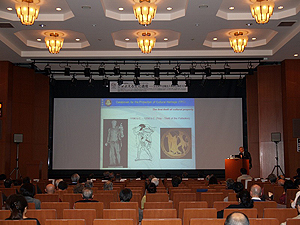 The Japan Consortium for International Cooperation in Cultural Heritage hosts a symposium each year for the general public. 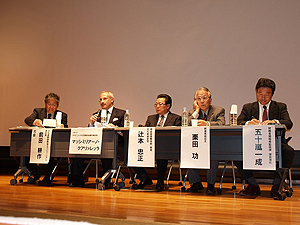 This year, the symposium was held at Heiseikan of the Tokyo National Museum on December 1, 2012. 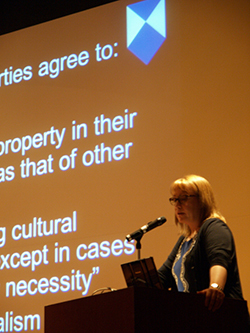 The symposium was entitled “Wandering Cultural Heritage: 10 Years of the Convention on the Means of Prohibiting and Preventing the Illicit Import, Export and Transfer of Ownership of Cultural Property” (sponsor: Japan Consortium for International Cooperation in Cultural Heritage, Agency for Cultural Affairs, Japan). This year marks the 10-year anniversary of Japan’s ratification of the Convention on the Means of Prohibiting and Preventing the Illicit Import, Export and Transfer of Ownership of Cultural Property. The symposium introduced Japanese efforts to safeguard cultural properties from illegal exportation and importation pursuant to the Convention and the current state of those efforts, and also described efforts overseas. A report on Japan’s national efforts was given by SHIOKAWA Tatsuhiro, Director of the Office for International Cooperation on Cultural Properties, Agency for Cultural Affairs while a report on local efforts was given by Superintendent TSUJIMOTO Tadamasa, an officer of the Nara Prefectural Police Department who deals with crimes against cultural properties. Speaking on the current state of trafficking in cultural properties, KURITA Isao, an art dealer and owner of the Gandhara Antiques specialty shop, described the root of the problem of trafficking in cultural properties in countries where those properties are trafficked from. Foreign examples were described by a member of Italy’s Carabinieri (national military police), Massimiliano Quagliarella, Head of Operations, Carabinieri Cultural Heritage Protection. 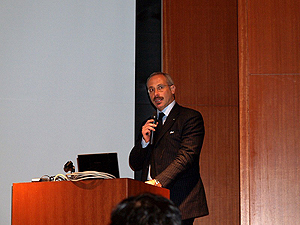 Quagliarella described safeguarding of cultural heritage by the Carabinieri as well as actual cases of art forgery and detection of illegal exports. Active discussions developed after all of the presentations, with panelists joined by IGARASHI Kazushige Deputy Director of the Enforcement Division, Customs and Tariff Bureau, Ministry of Finance. Although the problem of safeguarding cultural heritage is seldom brought up, this problem is actually a familiar one. Examining this problem, the symposium was well-received by members of the general public who were in attendance. The Japan Consortium for International Cooperation in Cultural Heritage will continue to make opportunities to further understanding for the general public about problems related to cultural heritage. In this symposium, discussion focused on the Blue Shield as one approach to urgent efforts in the future to protect cultural properties in Japan based on experience rescuing cultural properties after the Great Hanshin-Awaji Earthquake and the Great East Japan Earthquake. The keynote speech was given by Corine Wegener, President of the US Committee of the Blue Shield. Ms. Wegener described her experiences founding a national committee of the Blue Shield in the US and emergency assistance efforts by the US Committee of the Blue Shield in Haiti. Other lectures described the current state of emergency responses to protect cultural properties in Japan, such as efforts to rescue both movable and immovable properties after the Great East Japan Earthquake and steps to prevent fires in libraries. These lectures also described related issues. 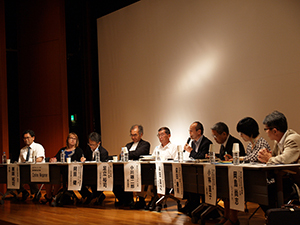 A panel discussion featured an extremely important discussion of future emergency assistance efforts in Japan. Questions raised were which types of emergency assistance were needed and what role the Blue Shield has to play in Japan in that regard. The point was made that Japan needs to capitalize on its experience and expertise both in terms of domestic emergency responses and in terms of international cooperation. The seminar is the first to bring experts in a range of fields, such as museums, buildings, libraries, historical archives, and film, together in one place to discuss the purpose of the Blue Shield. This gathering represented an important step in terms of the future of emergency activities to preserve cultural properties in Japan. The Japan Consortium for International Cooperation in Cultural Heritage has planned future symposia on a range of topics to facilitate sharing of the latest information. 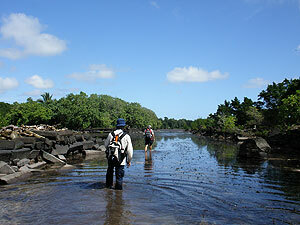 From September 5th through 9th, UNESCO’s 4th Pacific World Heritage Workshop was held in Apia, Samoa. Despite making up a third of the world’s surface, the Pacific region accounts for few of the properties placed on the World Heritage List. 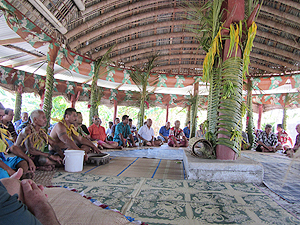 Thus, UNESCO has assembled island states representing the Pacific region so that could nominate their own cultural and natural properties for inscription on the World Heritage List and UNESCO has conducted workshops to assist with those efforts. The Japan Consortium for International Cooperation in Cultural Heritage attended the workshop as an observer in order to prepare for increasing request to safeguard cultural heritage from countries in the Pacific. 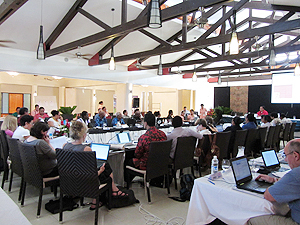 In addition to 13 island states and 2 territories, donor states such as Australia and New Zealand and by advisory bodies such as ICOMOS and IUCN attended the workshop. Representatives reported on their previous efforts in and on the status of preparations for inscription of properties on the World Heritage List. Establishment of the Pacific Heritage Hub was also discussed. The Pacific region has actively sought to safeguard its natural heritage in the past but will now seek to actively safeguard its cultural heritage as well. Representatives apparently hope to continue efforts to improve museums in their respective countries. Representatives also appeared quite interested in safeguarding of intangible heritage. 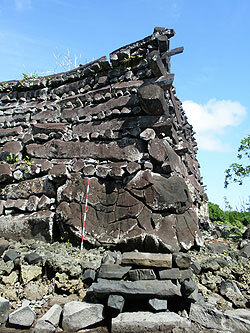 In the future, states in the Pacific region may request in safeguarding cultural heritage in its intangible forms as well. Seven years have passed since the Great Buddha of Bamiyan in Afghanistan was destroyed. The international community is committed to protecting destroyed cultural heritages in Afghanistan while hoping for the stability and development of Afghanistan. The National Research Institute for Cultural Properties, Tokyo was engaged in establishing the course and plan for conservation from the beginning of the project and plays a primary role in it. On March 25 and 26, the eighth Meeting of Bamiyan Site Safeguarding Experts was held in Munich, Germany, with the participation of persons related to UNESCO and international organizations, research organizations and experts in relevant countries. The situation is still unstable in Afghanistan at present, and it is hard to conduct activities for continuous restoration and conservation. The attendees earnestly discussed what the international community can do in such circumstances and how the site and destroyed Great Buddha can be used. Japan showed its significant presence as a donor country of UNESCO and Japan Trust Fund. We sincerely hope that through the meeting there will be international cooperation in protecting cultural heritages that will lead to future stability in Afghanistan. The Japan Consortium for International Cooperation in Cultural Heritage conducted a survey on cooperative partner countries in Bhutan from February 14 to 23. The purpose of this survey was to explore the possibility of cooperation in the field of protecting cultural heritages in Bhutan. We collected information in various fields, such as the Bhutanese concepts of cultural heritages, the current way in which cultural heritages are protected by the legal system in Bhutan as well as their technical aspects, the situation regarding international cooperation, and needs for cooperation. We also exchanged opinions with the relevant organizations. In Bhutan, a devout Buddhist country, cultural heritages are an integral part of people’s daily lives. When we see their diligent efforts for passing on and developing traditional culture as their national policy and seeking the proper way to protect cultural heritages that is suitable for the conditions of their country, we are strongly aware of the need to carefully and steadily examine what cooperation Japan will be asked to provide.